Thanks for stopping by! I am a writer of children’s articles and books. I absolutely love seeing children get lost in reading. I write eco-adventure fiction stories and nonfiction that take children into the depths of the outdoors and on journeys into amazing worlds and activities. As a runner and an education advocate, I queried articles on two important worldwide peace makers: Malala Yousafzai and Tegla Loroupe. 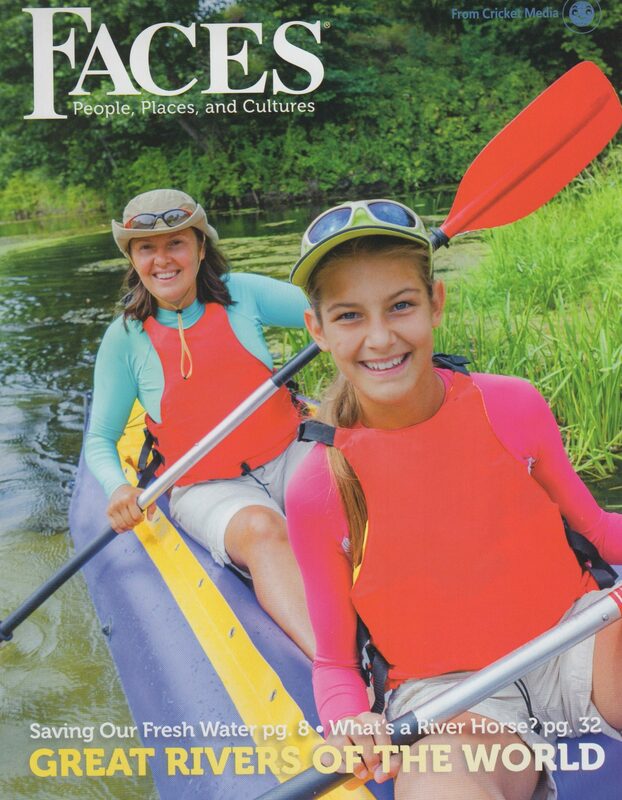 Both articles were accepted and appeared in the April 2018 PEOPLE OF PEACE issue of FACES magazine for 8 – 14 year olds. Malala Yousafzai: Youngest Winner of the Nobel Peace Prize, and Tegla Loroupe — Olympian, Groundbreaking Marathoner & Peace Builder. Plaids are the most popular, well-loved print. But did you know that they are properly termed “tartans,” with a delightful history from Scotland. Check out what makes a Tartan so special in my article, Tartan, Not Just Plaid, Feb/March 2018 issue of FACES magazine on BONNIE SCOTLAND. Sydney, Australia is one of the most beautiful cities. 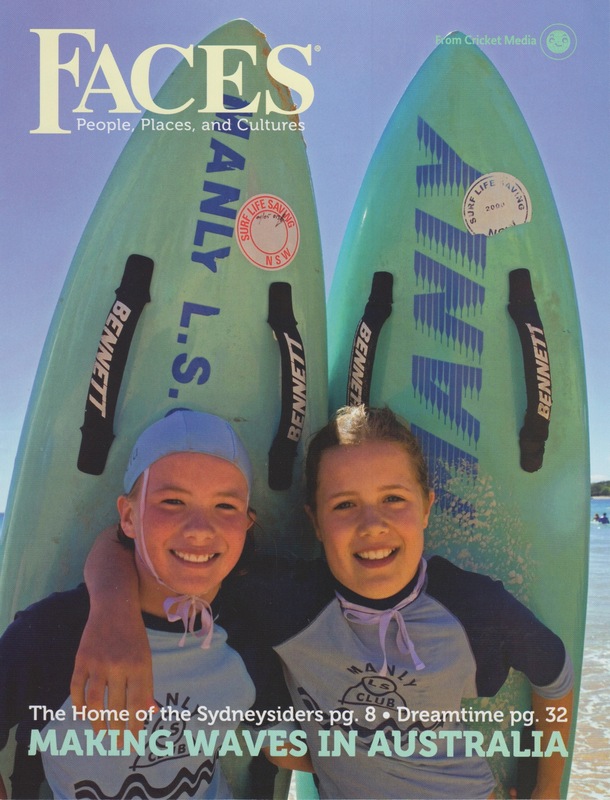 For the 2017 April issue of FACES magazine, I feature the Sydney’s Taronga Zoo in the article, Sleep Overnight and More at the Taronga Zoo! And I was tickled that FACES reprinted an article I did earlier, The Dreamtime of Australia’s Aboriginal People. 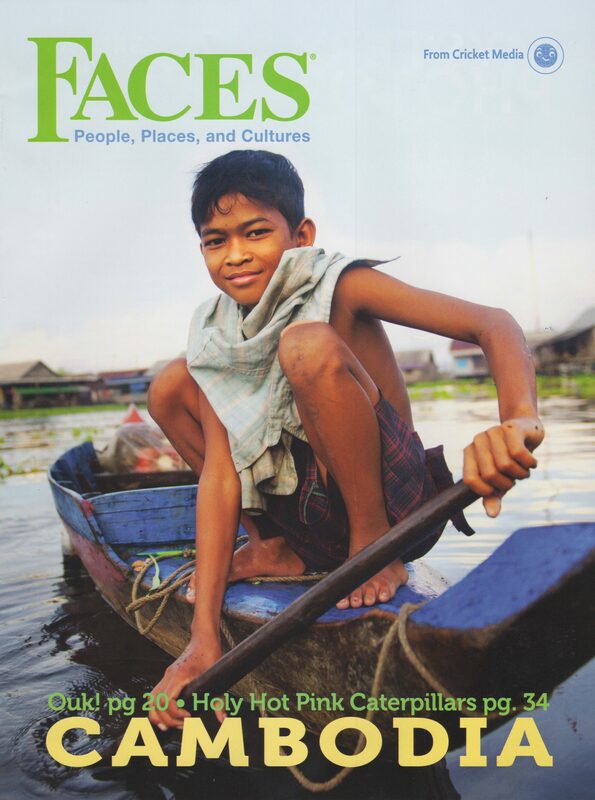 After writing about Cambodia and learning how the mighty Mekong River controls the people and land, I received the assignment to write The Mekong River: Who Owns the Water for the February, 2017 FACES issue on THE GREAT RIVERS OF THE WORLD. Morocco is one of the most mystical, beautiful countries. 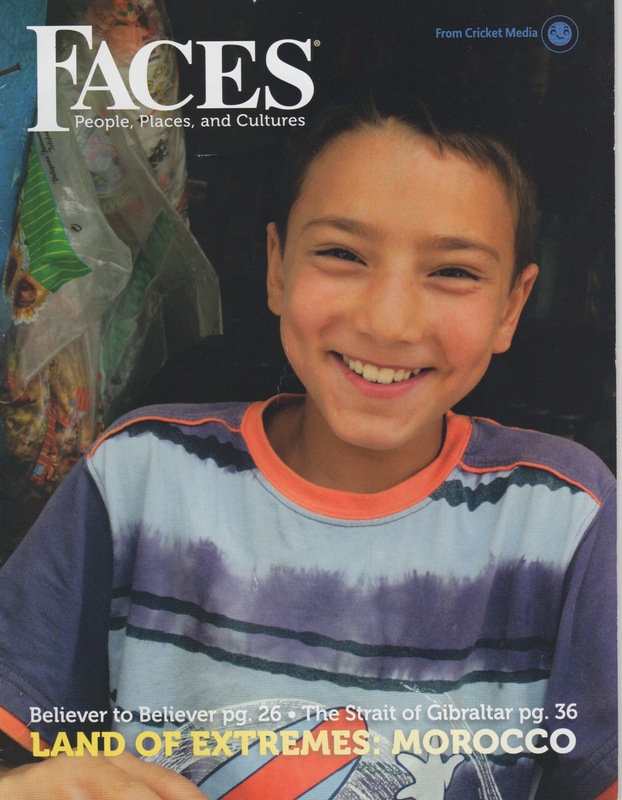 In the January 2017 issue of FACES magazine on MOROCCO: THE LAND OF EXTREMES, I explore Moroccan families in Family Life and the grace and beauty of Moroccan tea in The Power and Beauty of Moroccan Tea. How can one not have fun writing about dogs! 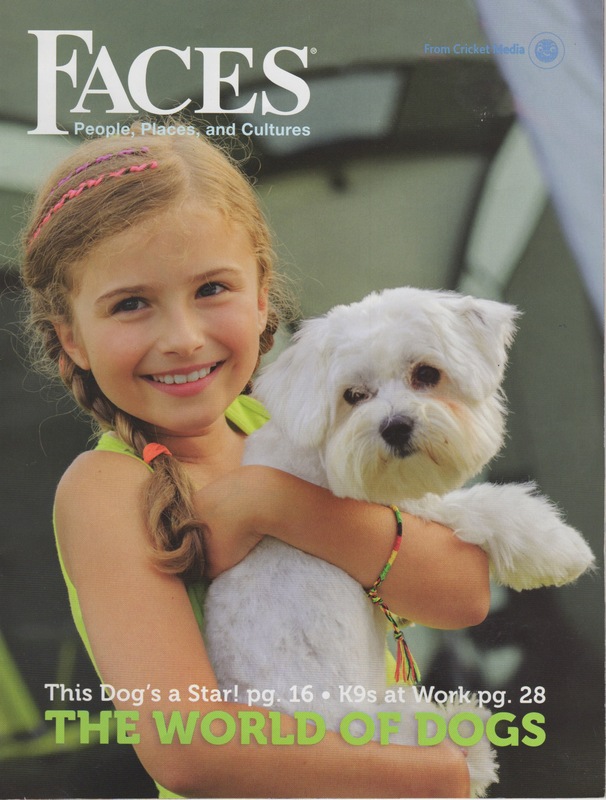 In the October 2016 issue of FACES magazine issue on the THE WORLD OF DOGS, I have three articles. Holiday Just For Dogs shares the wonderful celebration for dogs in Nepal. Crime Fighting Dogs shows the valor, hard work, and bravery of dogs in service to fight crimes involving drugs, accelerants, and explosives. 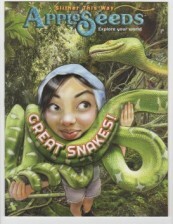 Ashes is Serious About Her Work features Ashes, a northern California hero with her own trading cards! She’s a chocolate Labrador that helps sniff out fire causing hydro-carbon-based materials. One of the most difficult articles I have worked on is Recovering from Wars for the September 2016 issue of FACES magazine on CAMBODIA, and the article on environmental secret agent and warrior Leng Ouch in Leng Ouch Fights to Save Forests. Leng goes undercover to fight the horrifying pillage of Cambodia’s rich natural forest environment. Just in time for the opening of the baseball season, catch my three articles in the April 2016 issue of FACES magazine on THE DOMINICAN REPUBLIC. The Dominicans are baseball fanatics and MLB has more Dominican players than from any other country than the U.S.! How does this tiny country do that? Learn more in my articles, Baseball is a Way of Life, Dominican Republic’s Top Baseball Stars, and Baseball Next Stars: Dominican Youth Academies. 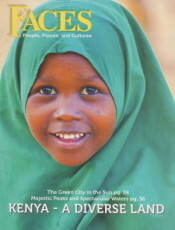 I have two articles in the beautiful March 2016 issue of FACES magazine, KENYA – A DIVERSE LAND. This issue takes a look at the beauty, history, runners and changing landscape of Kenya. I’m an avid runner and learned about the food the runners eat and the changing role of women in Kenya. That spawned my queries and two articles were accepted: The Changing Role of Women, A Kaleidoscope of Food and Drink (with Ugali and Irio Recipes). 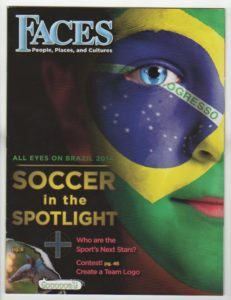 My four soccer articles appeared in the blockbuster May/June issue of FACES magazine, ALL EYES ON BRAZIL 2014, Soccer in the Spotlight. This issue focuses on the Brazil 2014 FIFA World Cup. I am part of an avid soccer family. They gave me ideas for queries to submit to FACES magazine. FACES accepted all three, and asked that I do one more! My articles are When the Cup Comes to Town, Training the World’s Next Stars, Growing Up: in a Football Academy, and Top Young Players to Watch. Click on the cover to see all four articles.